Tja, wat is duur, dat is relatief. We hebben een kaartje op de Rossitribune, die zijn per stuk ¤ 162 voor het hele weekend. Ik ga een beetje de OP proberen te updaten, . En 162.. tja, dat valt an sich dan nog wel mee. Heb trouwens ook een Fok!Wiki-pagina gemaakt met de OP (staat onderin de OP). Zodat hij eventueel altijd makkelijk te vinden en te updaten is voor een volgend topic. Ben wel benieuwd naar Lorenzo komend seizoen. Zou hij in staat zijn om competitief te zijn met de Duc? Als ie ergens kan winnen is het Qatar. Hier ben ik ook erg benieuwd naar! Ook erg benieuwd naar Iannone op de Suzuki . 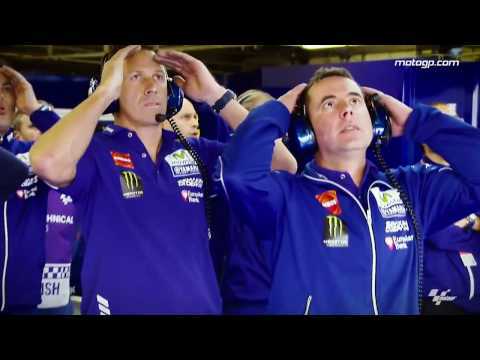 edit; ik denk trouwens wel dat Lorenzo competitief gaat zijn op de Ducati. Maar niet direct voor het kampioenschap. Ik zet in op een overwinning in Qatar, Oostenrijk, Sepang en Mugello. Ik heb m'n twijfels. De afgelopen jaren waren de Duc's nou niet bepaald verfijnde machines zoals de Yamaha's. En we hebben allemaal gezien wat er kan gebeuren als de omstandigheden niet ideaal zijn. Nog een uitgebreid, leuk stukje. 17 januari gepubliceerd. De 20e is overigens de presentatie van de Duc's. Ducati has spared no effort to achieve this goal. Technically, Dall’Igna and his racing department have been working over the two previous seasons to create a new generation of Desmosedici. New bikes, which retain Ducati’s MotoGP DNA, have gone several steps further with the introduction of innovative technical solutions. Although there has not been direct involvement from Ducati’s “mother brand” engineering forces (read: Audi), certainly the exchange of knowledge between the two has contributed to making Dall’Igna’s Desmosedici the unique bike it has proven to be in terms of engine and aerodynamics. 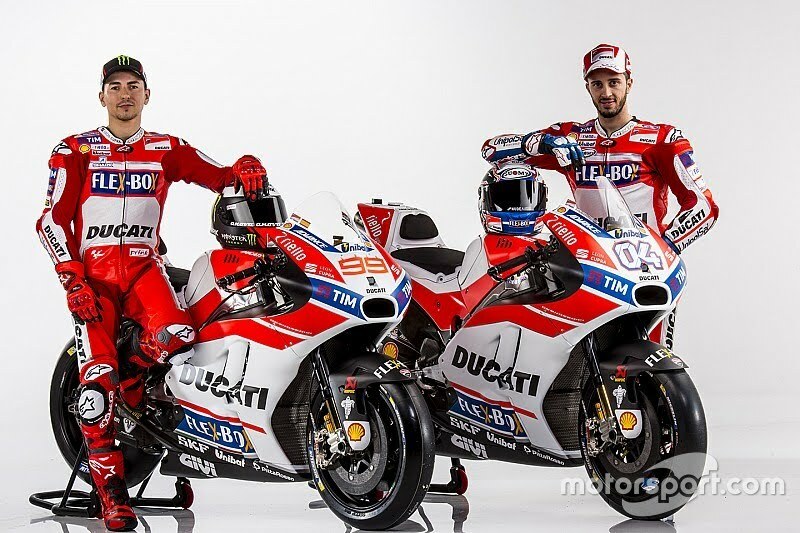 The new Ducati MotoGP project also includes the arrival of Jorge Lorenzo, triple MotoGP World Champion, straight from Yamaha. 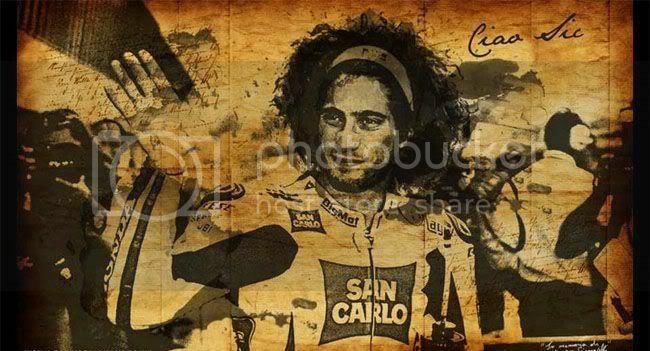 The signing was only possible through a combination of the relationship between the Spanish rider and Dall’Igna (Lorenzo won two 250cc Grand Prix world titles in 2006 and 2007 on Aprilia when Dall’Igna was the lead engineer there) and the enormous financial support of Ducati’s sponsors, mainly Phillip Morris. Maximum resources, total commitment from the whole company, and one of the two most effective riders in the current MotoGP field mean that there is no room for failure; there will be no excuses. Perfectly conscious of how much is at stake, the winter work at the Ducati Corse offices has certainly been extremely intense. As said, in a few days we will see the physical result of this work; at the end of the month on January 31 in Sepang, we will be able to see the outcome. The anticipation of seeing the new Desmosedici is obviously high. The development of the project has been on the overall machine, but certainly has concentrated on the weak points of last year’s bike and the new situation created by the change in aerodynamic regulations for 2017. It’s no secret that cornering has been the Achilles heel for the 2016 Desmosedici. When it came to finishing turns and exiting corners, Dovizioso’s and Iannone’s Ducatis displayed a propensity for understeer (i.e., the bike wanted to run wide off the intended line). This behavior was the focus of a good part of the winter work Dall’Igna and his engineers concentrated on. The bottom-end response of the engine at the first touch of the throttle has been the main issue, because a smooth response is considered vital for Lorenzo to take advantage of his effective but particular riding style. Top-end power has never been a problem for the red bikes; in fact, last season the Desmosedici’s considerable power caused additional problems with the tires at some tracks compared to its rivals. “We had problems mainly where the tire was not fit for that particular track,” explained Dall’Igna. “In Jerez, for example, we had spinning on the straight like everybody had, but due to the amount of power we had, it caused us more problems than the others. But the power itself is never a problem. 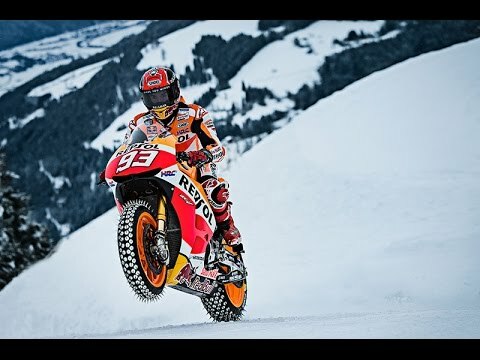 The compromise between power and tire performance is a problem,” emphasized the Italian engineer, denying any kind of traction problems on his bikes. The other big technical issue for Ducati will be the aerodynamics. After the controversial ban of the winglets technology—on which Ducati had spent a good amount of resources—2017 will open a completely new chapter in this area. After having verified the positive benefits of developed aerodynamics, there is no doubt that Ducati will try to get the same results in a different way. Meanwhile, Ducati’s point of view in this matter is very clear. “We study every detail of the new rules and we will do everything that we believe can help us…that is not illegal. What isn’t illegal is legal, isn’t it?” This seems like it will generate some interesting situations. Lorenzo has to facilitate, with the taking of the MotoGP World title, Ducati’s comeback out of the darkness they fell into with the arrival of Valentino Rossi in 2011. Inside the company the Rossi topic is kind of taboo, but despite having happened six years ago, its consequences have remained on Ducati’s back since then. But now the company feels ready to free themselves from those chains. Last season Andrea Dovizioso and Andrea Iannone demonstrated that the competitiveness of the Desmosedici is back and the consequences are obvious: “now that we have the tool, it is time to set a winning rider on the top of it." And this winning rider is Lorenzo, three times World Champion in the last six seasons. Ducati’s massive efforts to entice Lorenzo from the Yamaha garage were not just financial. Everything—the entire structure and all resources—have been oriented around the Spaniard. It started with choosing a very technical and easy-going Dovizioso as his teammate instead of the faster and more explosive Iannone. It continued with the decision to provide Ducati’s satellite teams with bikes that can create data to help the factory bike development during the 2017season. “The information we will get from all of the Ducati riders on the grid will be similar and this will help us to make decisions regarding Lorenzo’s and Dovizioso’s bikes,” explained Dall’Igna, demonstrating the company’s planning through the smallest details. This “all on Lorenzo” goes beyond the pure technical aspects. Ducati has endeavored to build a friendly structure around him. Dall’Igna, who knows the Spaniard well, is aware that he needs to feel secure and appreciated to give his maximum. We know that in racing anything can happen, but on paper everything has been prepared and is ready in the Ducati garage. If the bike performs as expected and Lorenzo is capable to adapt his riding style to the characteristics of the Desmosedici, the pair will be a major candidate for the title. The preseason will be vital to this marriage. If everything runs smoothly, great, but if technology, tire or adaptation problems appear before the start of the season, then Lorenzo’s patience will be tried. And we know that the virtue of patience has so far not been one of his strong points. It is important that Lorenzo understands he has left a garage where he competed on a completed and refined machine to join one still under construction. It may happen that everything runs perfectly from the very beginning, but logic dictates that some stones will pop up along the development road. Therefore Lorenzo has to be prepared for setbacks…and Sepang at the end of the month will be the first test. Ducati’s “all or nothing” bet on the Lorenzo effort—for example, his income will be ten times that of his teammate—have frozen the rest of the Reparto Corse projects, like the company’s launch into the Moto3 category. “I am convinced that for the future of Ducati it is important to also be involved in the Moto3 class,” revealed Dall’Igna. Even Moto2 is in Dall’Igna’s future as a third step once the MotoGP goal has been reached and the Moto3 project is under way. Surprising? 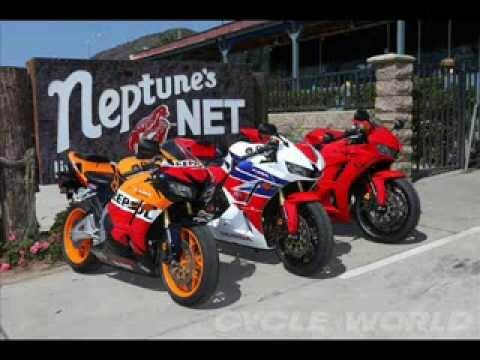 It may sound surprising, but this “everywhere policy” is a consequence of Ducati being part of a global company like Audi, which means worldwide thinking. Maybe this expansion won’t happen immediately or even in the near future—but you can bet that it will happen. 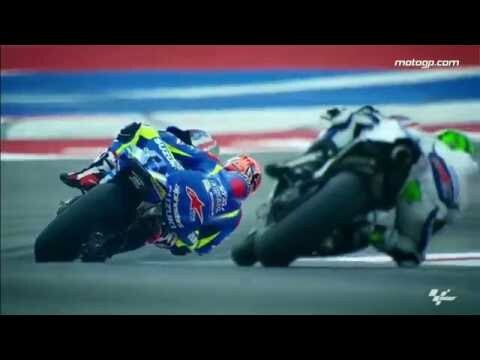 Net als bij Yamaha de 2016 motor zonder vleugeltjes. De echte motor zien we pas bij de eerste test. Winglets vond ik juist wel tof.